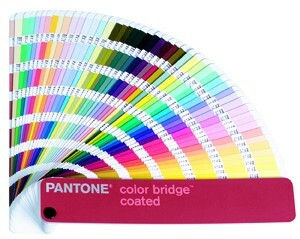 Match solids in process and RGB with the new PANTONE® color bridge™ guide. 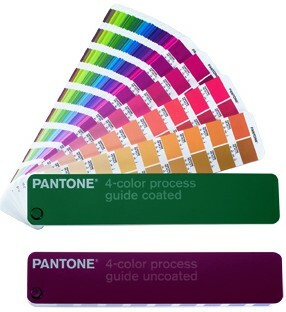 The spot color alternative, the PANTONE 4-color process guide set contains over 3,000 chromatically arranged CMYK color combinations on coated and uncoated stock. These guides are an ideal way to visualize, communicate and control colors for type, logos, borders, backgrounds and other graphics treatments. Screen tint percentages are provided to enable accurate color reproduction. For the shimmering, sophisticated look that only metallic colors deliver! All that pizzazz. And then some. This much broader, even more spectacular palette of colors adds impact to printed materials like never before. 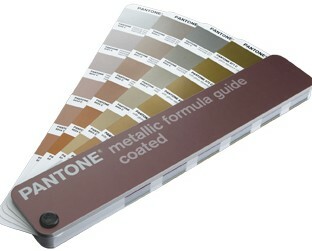 Now features 301 PANTONE Colors printed on coated stock, complete with ink formulas. 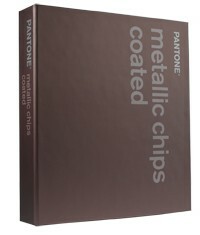 The PANTONE metallic chips book offers six specification chips for each PANTONE metallic color. You get over 300 brilliant metallics printed on coated paper.